see growth because their awesome welcome ministries help visitors decide to return. Church Greeters 101 targets the specific ministry of church greeters. 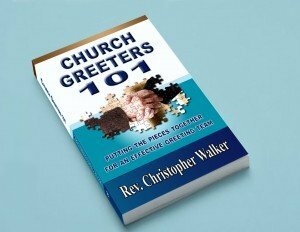 Church greeter ministry is a vital part of welcoming visitors to your church. They help shape that first impression which in turn, may very well shape a visitor’s journey to Christ. Greeters can make a great impression or a not so good one. Is Church Greeters 101 for you?